GREENSBORO, N.C. — One of the most popular upgrades for people to add to their homes is landscape lighting, and one brand that′s getting a lot of attention is Greensboro-based ClaroLux Landscape Lighting. This is not the type of lighting you′ll find at home improvement stores — this is professional grade — with low voltage, energy efficient LEDs. Instead of using cast metal, they machine their parts from solid bar stock lights that are designed and built to last a lifetime. ClaroLux imported their lights for about ten years, then decided to make a change. They set up a new factory in Greensboro, bought sophisticated computer controlled machining equipment, and hired enough employees to start production. “it just makes you feel better knowing that you′re keeping money in our country,” Groat said. “I can say that based on experience, because it wasn′t very long ago that we were wiring hundreds of thousands of dollars to China to import our product. Now all that money stays right here”. To learn more about ClaroLux click here. ClaroLux’s® new LED steel landscape bollard lights provide light shadow art creating dramatic nighttime designs on any landscape surface. 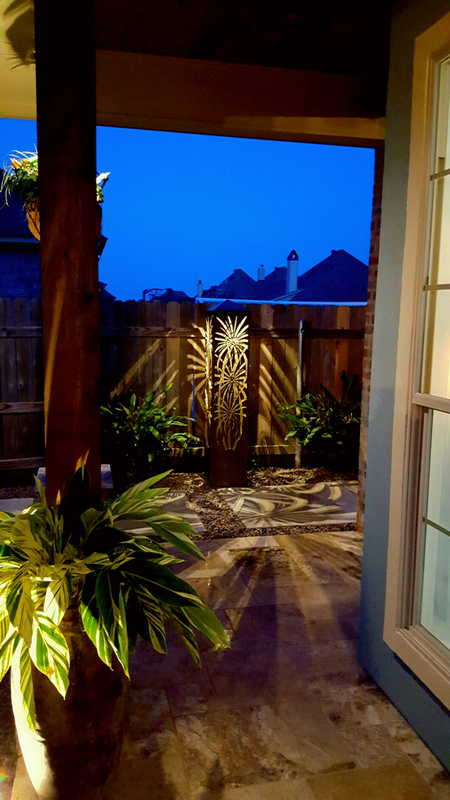 Not only do the light bollards create beautiful shadow art but they also create focal points that add to any landscape lighting system. By day they are yard art and by night their light patterns and designs become the central focal point of any landscape. Picture provided by Brandon Brice with Red River Lights, in Shreveport, LA. 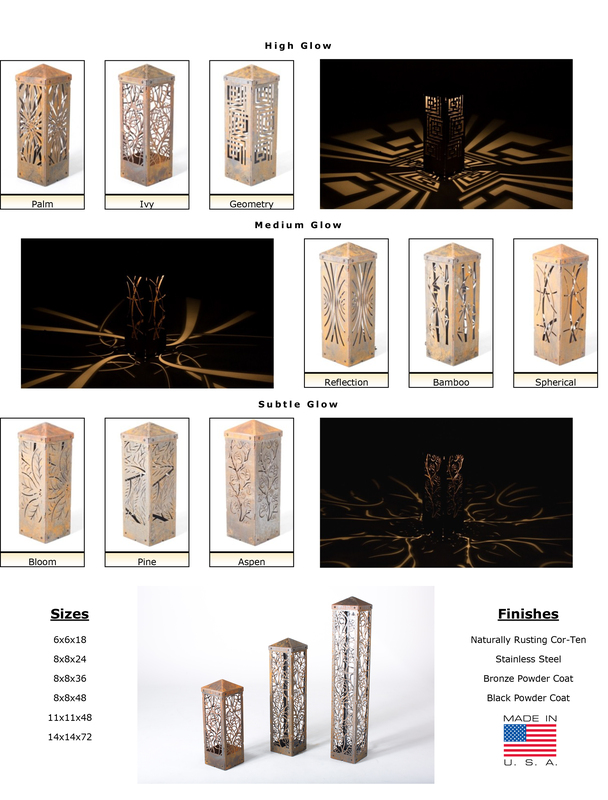 The CorTen rusted steel LED light bollards come in 9 different standard designs and 6 different standard sizes. If ClaroLux’s® standard designs and sizes aren’t what you are looking for then ClaroLux’s manufacturing team can create any design, shape, or size light bollard you desire. ClaroLux® also offers stainless steel and powder coated aluminum LED light bollards. The stainless steel light bollards are perfect for coastal environments within 30 miles of the coast. ClaroLux’s® steel bollards are constructed of US grade, solid CorTen Steel. CorTen is a weathering steel. It is a corrosion resistant steel, that left uncoated develops an outer layer patina. This patina protects the steel from additional corrosion. As the CorTen steel luminaire rusts over time it will add beautiful artistic elements to your landscape design night and day. The bollard lights feature a bi-pin socket which can accept any BrillianceLED bi-pin or MR16 LED. The open-air fixture design allows for maximize heat dissipation of the LED. ClaroLux’s® Light Bollards are truly revolutionary and manufactured in the USA. All ClaroLux Landscape Lighting® CorTen and Stainless Steel bollard lights come with ClaroLux’s exclusive Lifetime Warranty. For more information please give us a call today! ClaroLux Landscape Lighting Systems® – Proudly Made In The USA! The Charlotte WFL26-III brass LED wash light is among the most versatile in ClaroLux’s® line of high quality, high performance landscape LED luminaires. It is also one of the smallest luminaires that ClaroLux® has to offer. Unlike many of the square Chinese mini-wash light fixtures that have flooded the landscape lighting world, the Charlotte has a unique form and function allowing its sleek silhouette to blend seamlessly into the surrounding landscape. But do not let the size of the luminaire fool you; it packs a big punch! The WFL26 mini-wash light has a higher lumen output when compared to its Chinese competitors due to its innovative design. 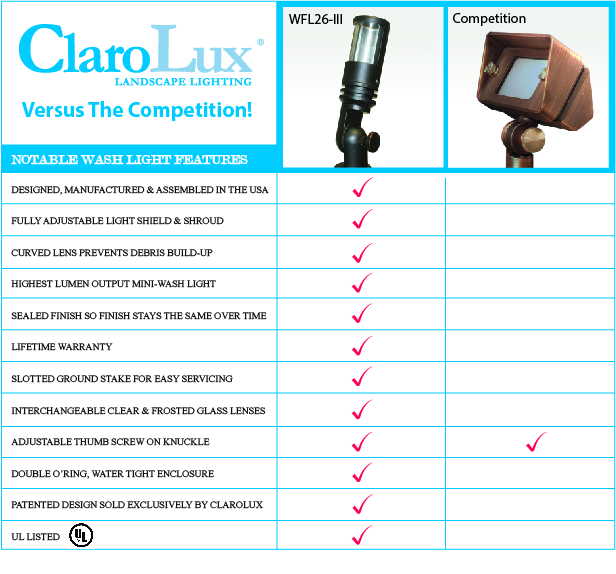 ClaroLux’s new brass WFL26-III Wash Light is hands down the best compact brass LED wash light on the market. See how it compared to the Unique’s Stellar brass wash light above. More and more people across the country are demanding a USA made product and the results above show why. The WFL26 mini-wash light is machined from solid brass bar stock, assembled with stainless steel hardware and sealed with two silicone o-rings. This 12-Volt fixture is as durable as it is magnificent. The wash light has several patented features like a 180˚, built-in, adjustable reflector shield. This gives the WFL26 not only the ability to soften the light output but also the ability to shield the light glare. The Charlotte also has an optional frosted glass lens available for purchase. See how the light output of the WFL26 compared to Unique’s Stellar brass wash light below. The results of the test showed that ClaroLux’s WFL26 had a much cleaner, crisper light due to the design and reflective properties of the luminaire. 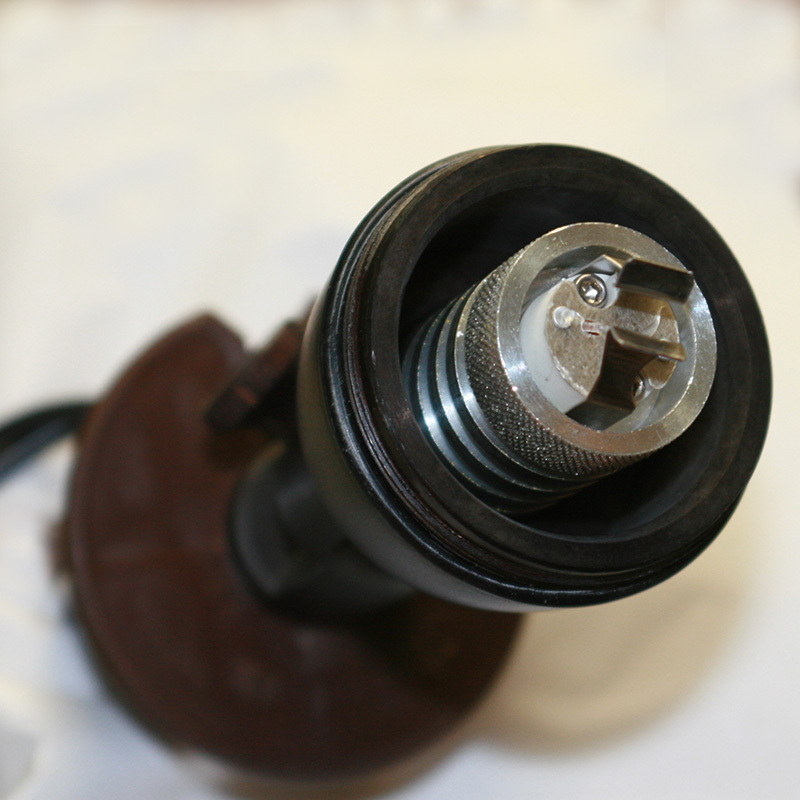 The Unique’s Stellar brass wash light performed well but the light output was not near as crisp and clean looking as the WFL26. The Stellar had less light spread and the color of the light was hendered by the design of the fixture. ClaroLux’s WFL26 wash light is proudly designed, manufactured and assembled in the USA exclusively by ClaroLux, LLC® and backed by their Lifetime Warranty. Don’t settle for inexpensive Chinese imports that will only cause you headaches down the road; use the best, ClaroLux Landscape Lighting Systems®. 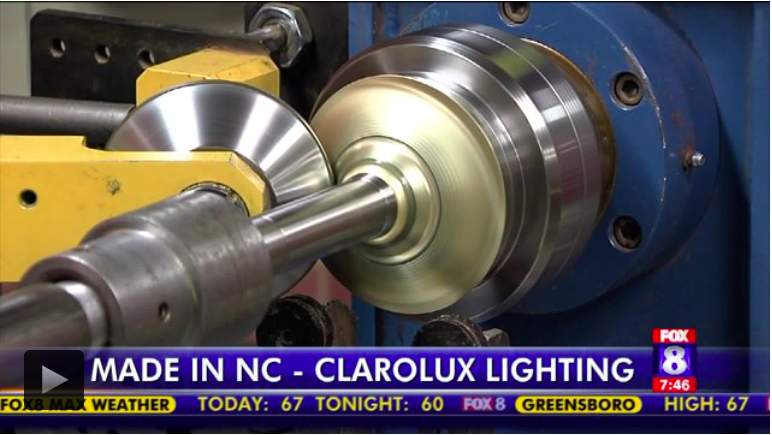 This past year ClaroLux® made the decision to design and manufacture their WL3 in ground well lights in the USA. They were tired of contributing more and more to the trade deficit with China. The Chinese have long been the go to source for landscape lighting products like well lights. Well now ClaroLux® is changing the game. ClaroLux® is fully invested in their efforts to bring all of their manufacturing back to the USA and the WL3 well light is another addition to the list. The WL3 Belmont in ground well light is an injection molded ABS fixture that is manufactured here in the USA. 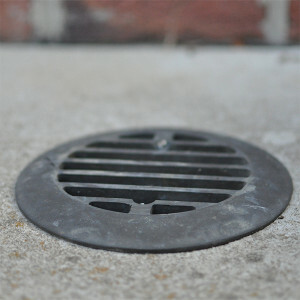 It is designed with air vents and vented tabs to help relieve condensation that tends to build up on the glass lens of the landscape lighting fixture. Many other manufacturers use a plastic pipe that is then cut down to fit their specific fixture size. 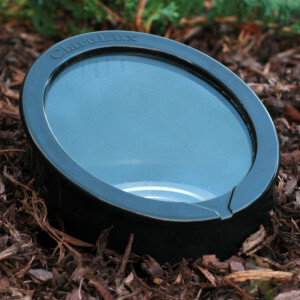 ClaroLux’s® well light housings are designed specifically for the landscape lighting industry. Never before has a company created an injection molded well light pipe that is designed specifically for the landscape lighting industry let alone it being manufactured in the USA. The Belmont is designed so that it can accept all three of ClaroLux’s® covers; WLC-II copper well light cover, WLC-FMB-III brass well light cover and the WLC-ABS plastic well light cover. Each cover is designed for a specific use and the WL3 well light can fit almost every need. For more information on the WL3 Belmont well light please click here. Since ClaroLux’s® inception the BL23’s internal components were composed of a stainless steel spring and a floating copper beryllium MR16 stationary socket with stainless steel clips. With the creation of the BL23’s little brother, the BL21 compact bullet light, the stainless steel spring was passed down to the BL21 and a new era has begun with the BL23. The BL23 has now received all new internals which includes a billet aluminum socket with cooling fins. This not only holds the lamp in place but also helps with heat dissipation. The BL23 is now in a league of its own. To learn more about the BL23 please click here. Bringing Our Production Back to the USA! ClaroLux is bringing our production back to the USA! 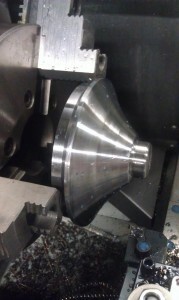 This is the first die our new machine shop foreman, Jeremy Pegram, made today! This will be one of many dies we will use to make our light fixture components. 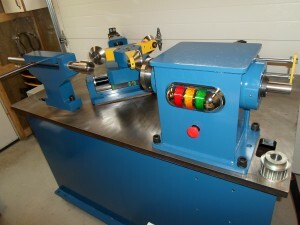 The die shown is our CL-AL1-II and CL-AL1-III top that will be spun on our new CNC spinning lathe. 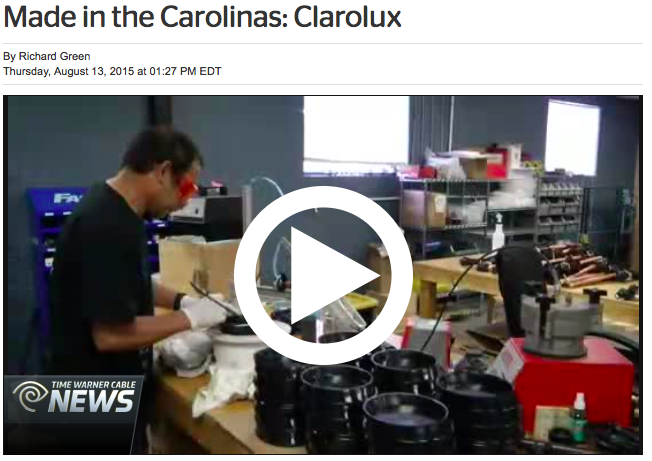 ClaroLux is very close to moving all of its manufacturing out of its facility in China and back to Greensboro, NC, USA. We take pride in our products and not many people in our industry today can say that their products were “Proudly made in the USA!!! Products that are made in the USA are on the rise. 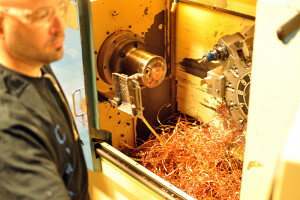 ClaroLux saw this trend in the later part of 2011 and begun taking the appropriate steps to bring its production home. Over the past two years ClaroLux and its design team have been going through the entire ClaroLux line, from top to bottom, trying to see how they can make their products better. At ClaroLux we are always trying to stay ahead of the curve and we feel with this move we will once again be leading the industry to an entirely new level of quality. ClaroLux Landscape Lighting – A System That Lasts A Lifetime…Guaranteed! 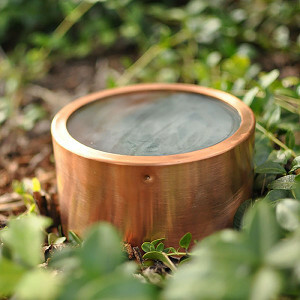 High-end, US Made, Landscape Lighting Products.